There was a huge global stock market change in 2010. This change increased the need to look for emerging stock market value. In the past the best way to gain appreciation was to invest merging markets as they enjoyed faster growth. Beginning this decade this site warned that the values had flipped and developed markets were now more attractive than emerging. 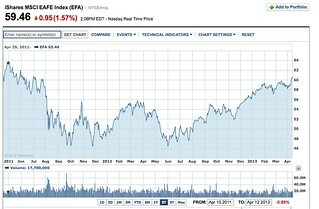 The results of the past two years shown in the www.finance.yahoo.com charts indicate that this change is a fact. World & EAFE indices have performed far better than the emerging markets index. One easy way to invest in the global economy is with the MSCI World Index ETF that tracks the MSCI Index of of 6,000 companies in 24 developed stock markets. This ETF seeks to replicate, net of expenses, the MSCI World Index. If one just wants to diversify outside North America they can use the EAFE ETF (symbol EFA). This index measures developed markets excluding the U.S. and Canada. EAFE stands for Europe, Australasia, and the Far East which follows 21 developed market country indices: Australia, Austria, Belgium, Denmark, Finland, France, Germany, Greece, Hong Kong, Ireland, Italy, Japan, the Netherlands, New Zealand, Norway, Portugal, Singapore, Spain, Sweden, Switzerland, and the United Kingdom. The MSCI Emerging Market ETF aims to replicate the index composed of 21 developing countries: Brazil, Chile, China, Colombia, Czech Republic, Egypt, Hungary, India, Indonesia, Korea, Malaysia, Mexico, Morocco, Peru, Philippines, Poland, Russia, South Africa, Taiwan, Thailand, and Turkey. In the past there was a good chance that if you invested in an emerging market for long… you would see nice appreciation. This is no longer true. Examination of these market’s values is more important than ever before. This is why once a quarter we look at the emerging equity market valuation analysis by Michael Keppler. Michael’s firm is the best when it comes to value analysis of stock markets. Here is an update on the values of emerging stock markets by Keppler Asset Management. 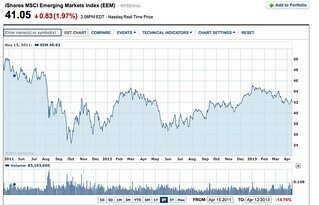 Here is Keppler’s Emerging Market Analysis as of April 12, 2013. Emerging Markets equities moved sideways in the first quarter. The MSCI Emerging Markets Total Return Index (December 1988 = 100) declined 0.5 % in local currencies and 1.6 % in US dollars. However, due to the decline of the Euro in the first quarter, it rose 1.0 % if performance is measured in Euros. Over the last 15 months, the MSCI Emerging Markets Total Return Index is up 16.4 %, 16.3 % and 17.6 % in local currencies, US dollars and Euros, respectively. The index now stands at $ 1,348 and € 1,157. The Euro lost 2.6 % versus the US dollar in the first quarter and at the end of March stood at 1.2841 (USD/EUR), down 1.1 % compared with its level of 1.2982 at year- end 2011. Among the three regional indices, Asia gave up 0.1 %, Europe, Middle East and Africa (EMEA) declined 1.1 % and Latin America lost 1.2 %. Over the last 15 months all three regional indices are up: Asia by 17.7 %, EMEA by 19.6 % and Latin America by 10.9 %. Performance numbers are in local currencies unless mentioned otherwise. Ten Emerging Markets advanced and eleven markets declined last quarter. The Philippines skyrocketed 17.9 % followed by Indonesia (+14.3 %) and Turkey (+9.7 %), while the Czech Republic (-9.5 %) Poland (-7.0 %), and China (-4.4 %) performed worst in the last three months. Over the last 15 months, Turkey (+70.2 %), the Philippines (+61.7 %) and Egypt (+46.7 %) performed best. Morocco (-13.9 %), the Czech Republic (-10.1 %) and Chile (+2.2 %) came in last. The Top Value Model Portfolio based on the Top Value Strategy (December 1988 = 100) declined 0.9 % in local currencies, 3.9 % in US dollars and 1.3 % in Euros last quarter. Over the last 15 months, the Top Value Strategy gained 19.9 % in local currencies, 20.2 % in US dollars and 21.5 % in Euros. There was only one change in our performance ratings last quarter: Egypt was downgraded to “Neutral” from “Buy” due to concerns about its political future. This was a rare exception to our process, where qualitative aspects cause a veto of our quantitative investment process. In the case of Egypt “Return of the Money” had become more important than “Return on the Money”. The Top Value Model Portfolio now contains the ten national MSCI markets Brazil, China, the Czech Republic, Hungary, Korea, Malaysia, Poland, Russia, Taiwan and Turkey at equal weights. According to our performance ratings, a combination of these markets offers the highest expectation of long-term risk-adjusted performance. Emerging markets do not have the overwhelming extra potential that they had for the previous three decades. Always look for value when you invest, but in this decade look extra hard when investing in emerging markets. Here is a ratio that can make us rich….1.6 to 1. Leverage in this amount has helped build one of the greatest fortunes in history. This ratio is one of three secrets in the science of everlasting wealth. See how Yale University’s research on Warren Buffet’s investing strategy shows the actual science of how to borrow low and invest high. However, this thinking was super charged about 3 decades ago. I was a speaker at an investment seminar in the Cayman Islands. Another speaker was one of the world’s great investors, John Templeton. Chance put us in the same room waiting to speak. Then after we spoke chance brought us together, alone in the small departure lounge at the airport. This was my golden chance, to speak alone, one on one, with this investing genius. I took it. “What’s the secret that sets you aside from the rest“, I asked. Mr. Templeton (he was not Sir John then) explained that he just did the same as every good investor to stay on top of trends. But then, he added, his secret was to review everything with a black box… a form of thinking beyond logic. I remained mystified. Later the mystery deepened. I was conducting a book signing for my novel “The 65th Octave”. She explained that she had been Warren Buffett’s personal assistant. Buffett and Charlie Munger had used these same secrets and had encouraged her to use them. She said those ideas had sounded too esoteric. She had ignored them and left Buffett’s employment. “That’s a clue, I thought. “The same secrets in my novel can be applied to investing”. This is when I realized how many secrets of everlasting wealth, may seem mystic but are simply well known mathematics of nature. They have not been commonly applied in the science of investing. Only a few investors have learned to apply the science of nature to finance. This rarity has made these few investors almost unimaginably rich. One secret that research has now proven, is a most interesting proportion of universal math called the Golden Mean or Golden Ratio. The Golden Mean is the ratio of approximately 1.6 to 1 (1.6180339887498948482 to be more accurate, but 1 to 1.6 is usually accurate enough). This rate of expansion is found everywhere-throughout nature. The Golden Mean controls the growth of most natural things; trees, the shape of leaves, the spiral of shells, as well as the way economies and societies grow. Good businesses and investments grow along the Golden Mean. If they grow too fast or to slow beyond this rate, they face increased risk of loss. The Golden Mean for example is regularly used in architecture. Our house in North Carolina was built on the Golden Mean. It has a base of 50 feet by 30 feet… a 1 to 1.6 dimension on purpose. The Greeks were aware of the pleasing impact of the Golden Ratio and used it as the core of many structures, such as the Parthenon. In fact the symbol for the Golden Ratio, the Greek letter phi, is derived from the name of Phidias, one of the three architects, who designed this amazing monument. Iktinus and Callicrates were the other two architects. These three used Phi beginning with the exterior of the Parthenon. 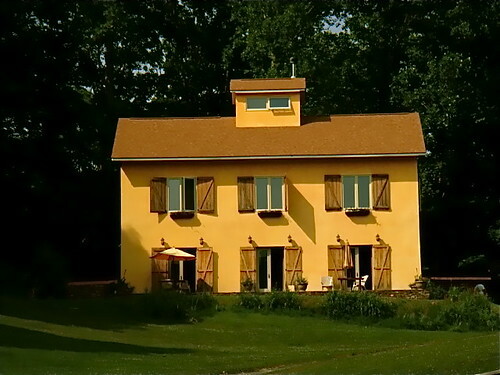 The dimensions of the façade represent the perfect golden ratio. Then the ratio is used in many ways within. Ancient Egyptians used the Golden Mean in the Great Pyramids of Giza. The length of the base of the pyramid is approximately the Golden Mean. The height is approximately Pi. The Golden Mean ratio is in the design of Notre Dame in Paris, the headquarters for the United Nations built under the supervision of Wallace K. Harrison and French architect, Charles E. Jeannere, reflects the Golden Ratio in several ways. The windows have the ratio and also when looking at the width of the entire building and comparing it to the height of every ten floors. “Great”, I asked myself again and again. “The Golden Mean can be found in the human body, nature, solar systems, DNA, the stock market, the Bible, theology, music, artwork, design, and architecture. That all well and good, but what is the exact science for applying this ratio to investing? Finally, research about Warren Buffet’s investing strategy published at Yale University’s website shows the actual science of how to use the Golden Ratio to become and remain rich. A research paper published on the website of Yale University’s Department of Economics pinpoints this truth. The paper shows the methods used by Warren Buffett to amass his $50 billion dollar fortune. The researchers found that the returns from Buffett’s investment company, Berkshire Hathaway, far outweighed those achieved by any rival that has operated for 30 years or more. The research shows that neither luck nor magic are involved. Instead, the paper shows that Buffet’s success hinges on using leverage at the Golden Ratio to make large purchases of “cheap, safe, quality stocks”. The study found that Buffett applies a leverage of about 1.6 to 1, boosting both his risk and excess return in that proportion. He uses the Golden Mean in his borrowing, not too little, not too much. 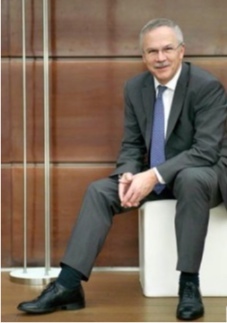 Thus his many accomplishments include having the conviction, wherewithal, and skill to operate with leverage and significant risk over many decades. The research paper shows these general features of Buffet’s portfolio: Stocks that are safe (with low beta and low volatility), cheap (value stocks with low price – to – book ratios), and high quality (stocks of companies that are profitable, stable, growing, and with high payout ratios). Even so at times his portfolio has fallen, but Buffett waits long periods for prices to recover. This leaves the key question: What capability allows Buffett to hang on when his leveraged investments are losing value? For example, from June 30, 1998 to February 29, 2000, Berkshire lost 44% of its market value while the overall stock market gained 32%. Most fund managers would have trouble surviving a shortfall of 76%. 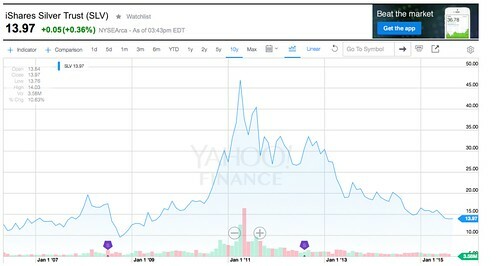 Buffett’s reputation and structure as a corporation helped him stay the course and rebound when the internet bubble burst. Having not leveraged too much because of the Golden Mean is a crucial part of his tenacity. Another part of his portfolio science is keeping finance costs low. His company benefited from a AAA credit rating and was able to borrow funds at such low rates that Berkshire was able to issue the first ever negative interest loan in 2002. In addition Buffet bought up insurance companies that could provide low cost finance. Insurance float loans cost only 2.2%, three full percentage points below the average T-bill rate. Buffet’s staying power also comes from his belief in how he invests and the companies he invests in. Plus Buffett gets smarter by spending much of his time reading every day. He combines this knowledge with fulfillment. He says, “I pretty much don’t do anything I don’t like to do. I’m very fortunate in that… I’m pretty much in command of my own time, but I have a lot of fun doing it.” He remains mostly disconnected from the busy investing world. His success is the freedom to wake up every morning and work on something he is passionate about and that leaves him fulfilled. These scientific facts that many consider secrets are one foundation of value investing course “The Purposeful investing Course” (Pi). Another foundation of the Pi course was laid decades ago when I read one sentence in a book review of “The Wealthy 100″. This book, shows the fallacy of working just for cash. “The Wealthy 100″ is about the wealthiest people in the world (comparing their wealth at the time of their death in relation to the GDP of the USA). John Jacob Astor was the wealthiest man in these terms as his wealth equaled 1/65th of the U.S. GDP. The last sentence of this paragraph that shook me to my roots was (see underlined below): “The stories of the Astors, Vanderbilts and Morgans have been fascinating. They were not always the smartest, or best educated, but possessed a single minded discipline. If there were a common denominator it was a passion they brought to business whether inspired by greed or desire to be the best. The backlash; many lived unhappily. How would you feel if in the last 30 seconds of your life you realized you were the richest person in the world and yet had lived an unhappy life? That simple question led me to years of soul searching and research for that foundation of Pi. This is why I decided to create a course based my 50 years of of writing and speaking about multi currency investing. Pi combines my experience with wisdom gained from some of the world’s best investment managers and economic mathematical scientists I have met and worked with. Stress, worry and fear are three of an investor’s worst enemies. These are major foundations of the Behavior Gap, a trait exhibited by most investors, that causes them to underperform any market they choose. The behavior gap is created by natural human responses to fear. The losses created by this gap grow when investors trade short term under stress. More about the gap in a moment. Learn how to create profitable strategies that combine good value investments with unique, personal goals. Learn the Golden Rules. Pi contains “50 Golden Rules of Investing” that have been picked up over 50 years. These rules help you avoid the pitfalls that create the behavior gap. For example, The first golden rule is: There is always something we do not know. No investment story contains the whole truth and nothing but the truth. Every investment is based on some approximation. This fact means some investments we make will rise in value and some will fall, at least temporarily. It’s human nature to avoid loss. When investments fall, pride and fear create irrational, unscientific action. Thus most investors earn less than the rise of the markets they invest in. The shortage is the behavior gap. Part of Pi’s mission is to help overcome this Behavior Gap. Behavior gaps are among the biggest reasons why so many investors fail. Human evolution makes fear the second most powerful motivator. (Greed is the third.) Fear creates investment losses due to behavior gaps. Fear motivates us more strongly than desire. By nature investors are risk adverse, when they should embrace risk. Pi is based on an investing reality that very few investment advisers ever cover. Most investments fail because they lack comfort. The course syllabus includes learning how to create investments we are comfortable with. Pi helps us examine what type of investor we are. Learn how to create strategies, choose tactics and decide how much delegation to use. #3: Our income, capital and needs. #5: Our performance requirements, (accumulation, income production or inflation protection). Pi examines each of these investing foundations through the examination of a primary Pifolio. Combine our needs and capabilities with the secrets and the math. Lessons from Pi are based on the creation and management of a Primary Pi Model Portfolio, called the Pifolio. There are no secrets about this portfolio except that it is based entirely on good math. The Pifolio is a theoretical portfolio of MSCI Country Benchmark Index ETFs that cover all the good value markets using my (almost) 50 years of global experience and my study of the analysis of four mathematical investing geniuses (and friends): Michael Keppler, Eric Roseman, Thomas Fischer (for currency positions) and Richard Smith, PhD (for trailing stop alerts). Michael is a brilliant mathematician. We have tracked his analysis for over 20 years. He continually researches international major stock markets and compares their value based on current book to price, cash flow to price, earnings to price, average dividend yield, return on equity and cash flow return. He compares each stock market’s history. From this, he develops his Good Value Stock Market Strategy. His analysis is rational, mathematical and does not cause worry about short term ups and downs. To invest according to the Country Selection Strategy, it is necessary to construct diversified, risk-controlled, representative country portfolios in every BUY rated country, weighting each country approximately equally in the overall portfolio. It is not appropriate or enough to instruct a stockbroker to simply select stocks in the BUY rated countries. 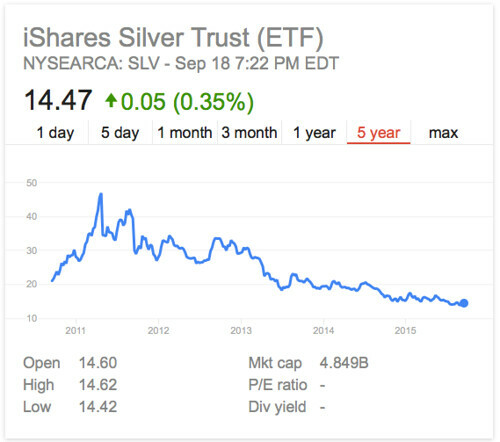 #4: Does the share have a good value relative to its previous price? #7: Is the company’s management good and is their product or service line in a wave of the future? Finally, we continually look at the Pifolio with a unique trailing stop system created by our friend, Dr. Richard Smith. His Smart Trailing Stops 2.0 system alerts us to any of the shares which deviate from their good value status. Richard Smith received a PhD in Mathematical Systems Theory from New York State University, Binghamton, after completing his undergraduate degree at the University of California, Berkeley. He has spent the last 10 years researching and developing algorithms and services that give individual investors the tools they need to remain in their personal investing comfort zone, and to succeed! The original Primary Pifolio began with 70% diversified into Keppler’s January 2015, good value developed markets: Australia, Austria, France, Germany, Hong Kong, Italy, Japan, Norway, Singapore and the United Kingdom. 30% of the Pifolio was invested in Keppler’s January 2015, Good Value Emerging Markets: Brazil, Chile, China, Colombia, the Czech Republic, Hungary, Korea, Malaysia, Poland, Russia and Taiwan. The Pifolio consists of iShares ETF that invested in each of the MSCI indicies of these markets. For example the iShares MSCI Australia (symbol EWA) is a Country Index ETF that tracks the investment results the Morgan Stanley Capital Index MSCI Australia Index which is composed mainly of large cap and small cap stocks traded primarily on the Australian Stock Exchange mainly of companies in consumer staples, financials and materials. 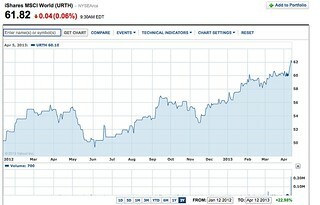 This ETF is non-diversified outside of Australia. The roots of the iShares ETFs dates back to the year 2000 when the British based Barclays Bank made a major contribution to the ETF market and launched over 40 new funds with an extensive education and marketing effort behind them, branding them iShares. 2016 is the count down year of my 50th anniversary of talking and writing about savings and investments, so the course uses the “50 Golden Rules of Investing”. The rules are the 50 best investing lessons I have accumulated from five decades of global travel, investing and business. The stories mostly come from mistakes made, plus some decisions that reaped really rich rewards. The two conditions are in place again! There are currently ten good value non US developed markets, plus 10 good value emerging markets. Research shows that most people worry about having enough money if they live long enough. This powerful profit wave can eliminate that concern. My experience of the 17 years in the 1980s and 90s combined with the science shared by my four friends (Keppler, Roseman, Fischer and Smith) can make the next 17 years so rich, you’ll always be rich. Conditions for the silver dip have returned. The availability of low cost loans and silver are at an all time low. I released a new report “Silver Dip 2015” so readers can take advantage of these conditions and leverage 1.6 times as a speculation. The speculation is so time sensitive with such fast profit (but also loss) potential that I will only offer it shortly. Order now by clicking here. Email me The Silver Dip $27. Or you can have The Silver Dip 2015 FREE when you subscribe to Pi. Subscribe to the first year of The Personal investing Course (Pi). The annual fee is $299, but to introduce you to this online, course that is based on real time investing, I am knocking $102 off the subscription. Plus you receive the $29.95 report “Three Currency Patterns For 50% Profits or More” and the $27 report “The Silver Dip 2015” free for a total savings of $158.95. Enroll in Pi. Get the first monthly issue of Pi, the first five “Golden Rules of Investing” and the report “Three Currency Patterns For 50% Profits or More” and “The Silver Dip 2015” right away. #3: I guarantee you can keep the golden rules of investing and “Three Currency Patterns For 50% Profits or More” and “The Silver Dip 2105” report as my thanks for trying.